Preston city centre’s night time economy venues are coming together to stage ‘North By North West’ – a night of live music and guest performers on Saturday 22nd September. Venues across the city centre will host performances, most free to attend, culminating with headline acts, including the Sherlocks, playing at Preston’s Minster on Church Street. 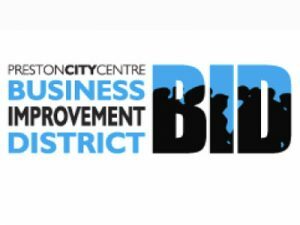 ‘North By North West’, supported by Preston At Night and the Business Improvement District (BID), is being spearheaded by owner of city centre nightspot, Blitz. Peter Alexander from Blitz said: ‘Preston has a vibrant night time economy and we’re working collectively to promote this night of live performances to offer something a little different from the norm. ‘Preston is an award-winning leisure destination and events like North By North West give us yet another opportunity to encourage people to visit the city centre and take in venues they might not ordinarily visit. We’re working with some passionate venues and musicians and cannot wait to launch the full line up very soon’. ‘North By North West’ has been timed to coincide with the Lancashire Encounter festival, the arrival of UCLan’s new intake of students and the return of 2nd and 3rd year students. The music event, sponsored by Cool Media Marketing, will take in more than twenty eclectic venues, with a bespoke mobile website being produced to guide people around the city ensuring they catch as many acts as possible. Luke Maher, Managing Director of Coolmedia Marketing said: ‘Being a proud Prestonian and passionate about music, getting involved with this event was a clear winner for us. ‘It’s great to see the BID team, Blitz and many more venues working together to bring a full night of variety and live entertainment to the city centre. www.NorthByNorthWestPreston.co.uk – with the full programme launched in August 2018.